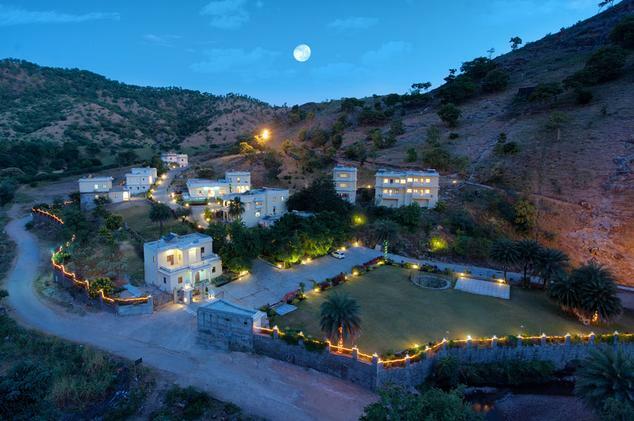 Located in The Girwa, NH-8, Aaram Baugh Resort is an enchanting resort surrounded by Aravali hills all around. Built by Badnore and Pachar Groups, the Resort seeks to recreate the lost heritage and culture of Rajasthan and its various royal families. 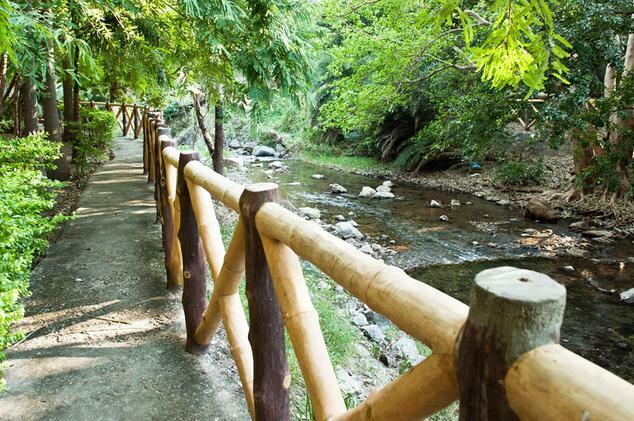 The resort is located far away from the hustle and bustle of the city and is spread over a large area. 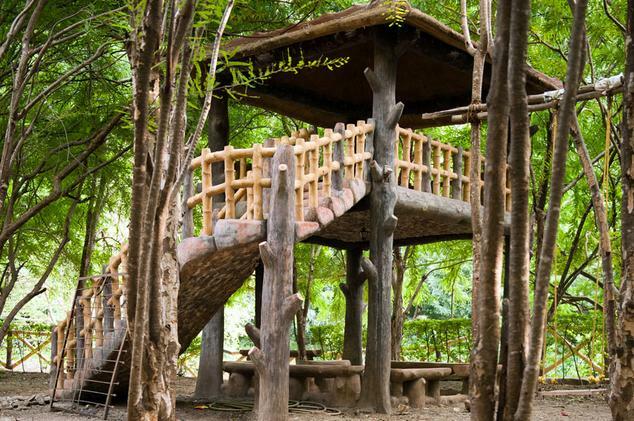 It also has ramps build for the facilitative comfort of differently abled guests as well. Many facilities are provided at the resort that includes a doctor on call, safe at the reception, laundry services, power back-up, car rental services, travel desk, office center. The resort is a perfect place to host a Royal themed wedding. 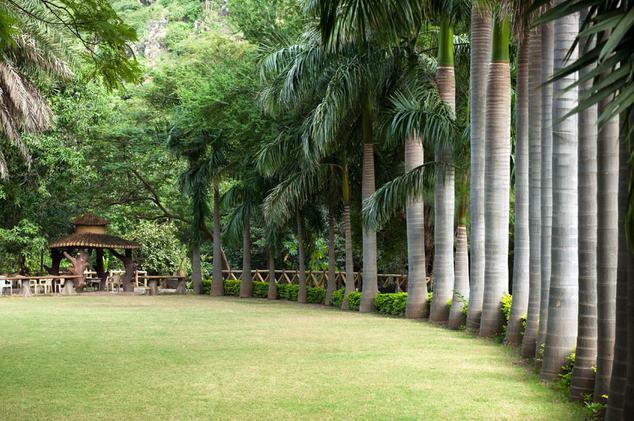 Outdoor games like Badminton, Volleyball, Throw ball can be played in its large grounds. 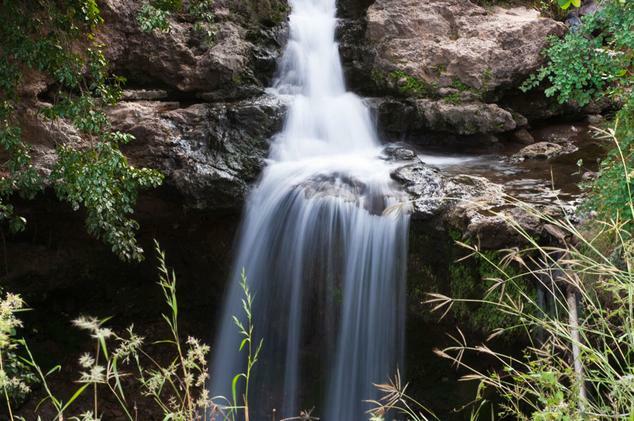 Adventure sports like Jeep safari on hills, bicycle safari, trekking is available for guests. 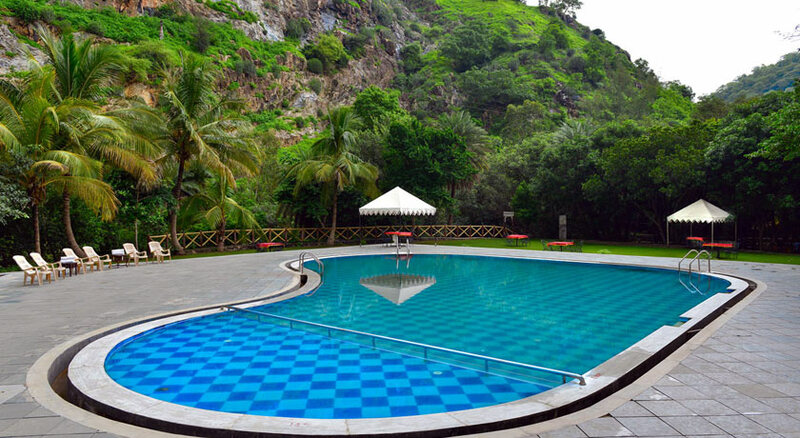 The resort has a total of 30 villas surrounded by beautiful gardens and the hills. Garden Lounge is the open air restaurant. 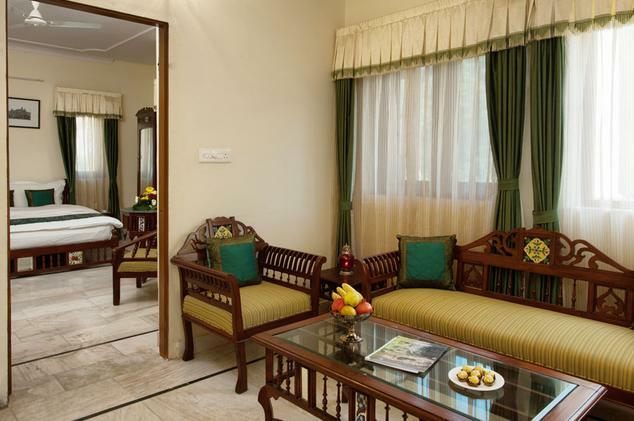 Villas are separate units in the resort and are double storeyed with one bedroom each, living room and bathroom. The rooms are decorated with style that matches their carefully selected names and invokes the culture of the royal the Villa is named after. These villas are named after sixteen Umraos of royal families. 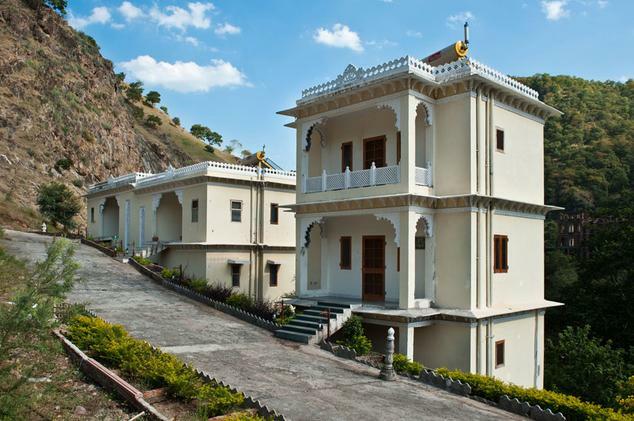 A few names of the villas include Maharani Meera Bai, Rana Sangha, Maharani Padmini, Rana Kumbha, Rana Udai Singh etc. 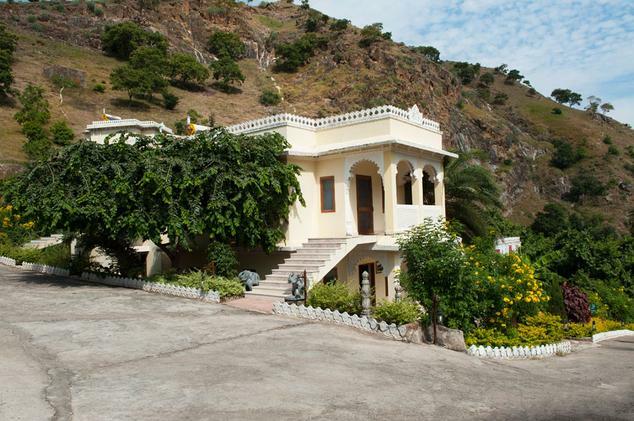 The Villa comes with attached bathrooms that are well equipped with complimentary toiletries. 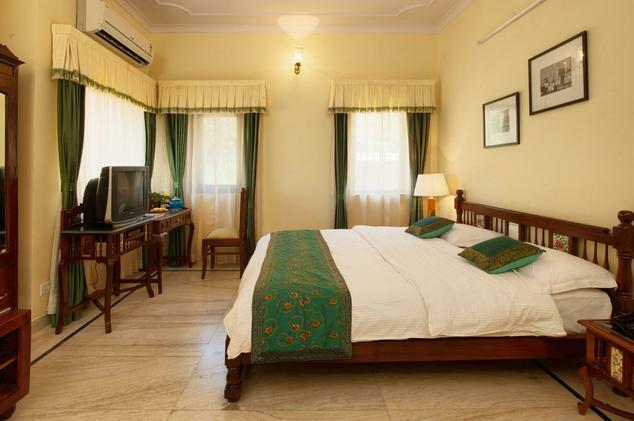 From the polished marble flooring to the elegant furniture the rooms are traditionally designed with king-size beds. 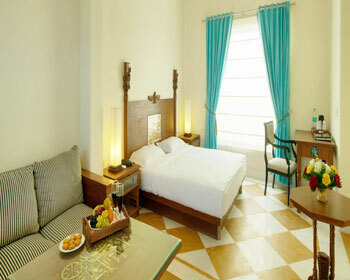 Various in-room facilities include telephone, T.V, air-conditioner. 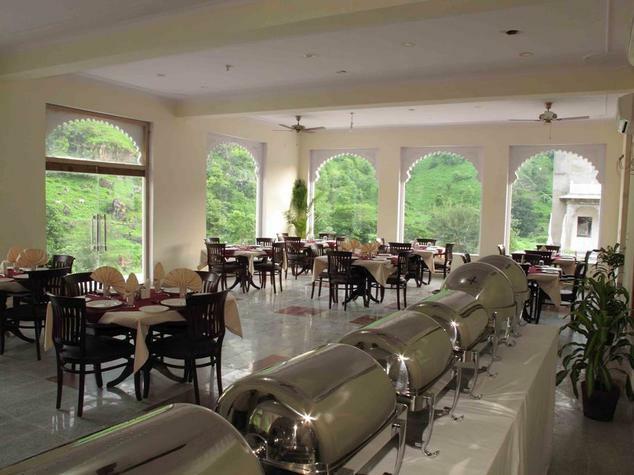 Enjoy the experience of alfresco dining while observing the scenic view of Aravali hills. 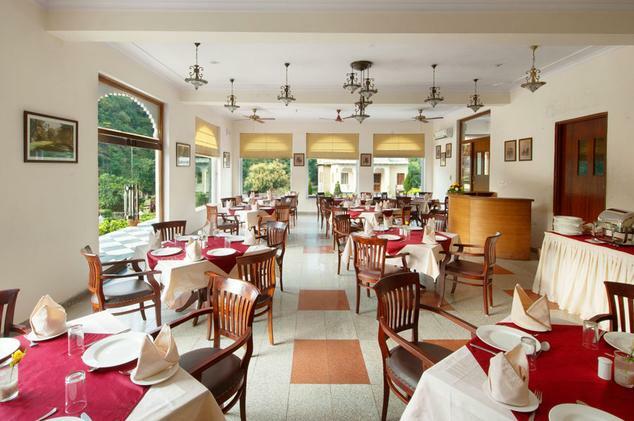 The chef lays out excellent food ranging from continental and Chinese to Indian and Mughlai. It is an exotic experience to gaze at the night sky with many stars being away from pollution and eating in tranquility. The inside part of the restaurant is quite airy as well and decorated simply but elegantly. Cosy lounge Bar is the in-house bar of the resort and offers a wide selection of foreign and Indian liquor.